RW Zijlstra Grondverzet is a Dutch company, specialising in groundworks and infrastructure. Initially started in Franeker, Friesland, RW Zijlstra Grondverzet operates from Hulshorst, a small town in the center of the country. After several years the company is developing its services and is offering machines and other products as well. Nowadays, with word-of-mouth advertising websites need to represent a company towards (new) clients. 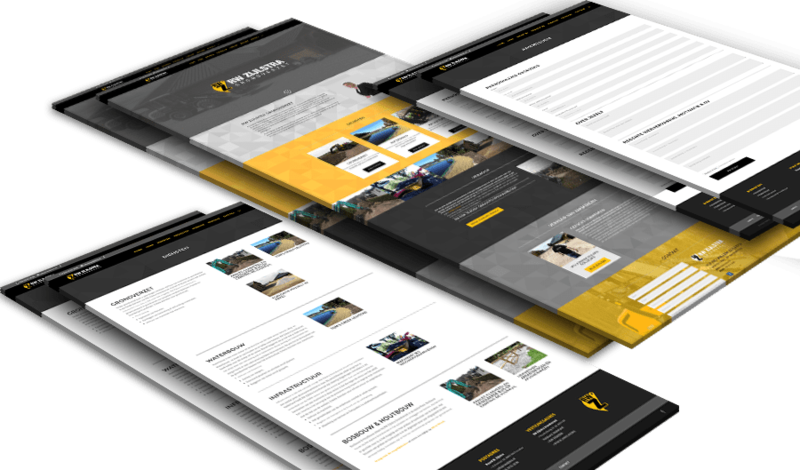 That’s why Brightsol realised a new one page website for RW Zijlstra Grondverzet that accommodates space for projects, sales and for signing up to join a network of groundworkers.